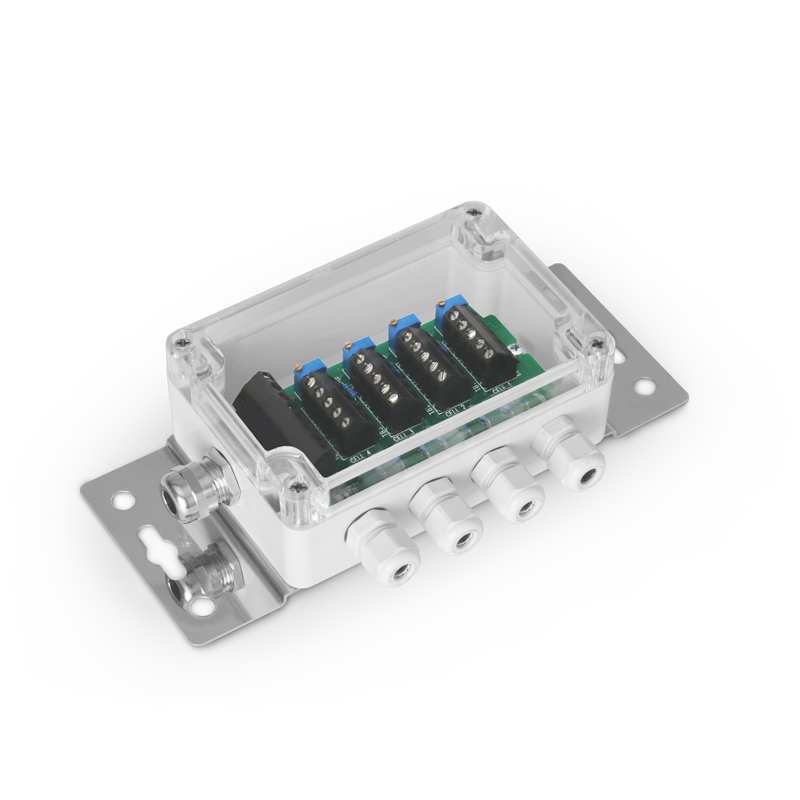 JB1A Junction box for hazardous areas ATEX, in ABS IP67, with 1 + 1 fairleads for connection with 1 load cell. Protection modes: ATEX II 2G Ex ib IIC T6 Gb for gases, ATEX II 2D Ex tb IIIC T115°C Db IP65 for dusts. Complete with manual and ATEX CE CONFORMITY DECLARATIONS (available in EN, DE, FR and IT). JB2QA JUNCTION BOX IP 67 WITH 2 + 1 FAIRLEADS AND EQUALISATION CARD FOR 2 CELLS, FOR HAZARDOUS AREAS ATEX II 2G Ex ib IIC T6 ATEX II 2D Ex tD A21 IP65 T115°C COMPLETE WITH MANUAL AND DECLARATION OF CONFORMITY. The manuals and ATEX CE conformity declarations are available in EN, DE, FR, and IT. Handbücher und CE Kormformitätserklärungen ATEX sind in EN, DE, FR und IT erhältlich. Les manuels et les déclarations CE de conformité ATEX sont disponibles en EN, FR, DE et IT. Manuales y declaraciones CE de conformidad ATEX disponibles en EN, DE, FR y IT. Manuali e dichiarazioni CE di conformità ATEX sono disponibili in EN, DE, FR e IT. 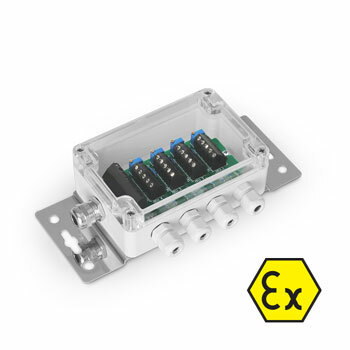 JB3QA JUNCTION BOX IP 65 WITH 3 + 1 FAIRLEADS AND EQUALISATION CARD FOR 3 CELLS, FOR HAZARDOUS AREAS ATEX II 2G Ex ib IIC T6 ATEX II 2D Ex tD A21 IP65 T115°C COMPLETE WITH MANUAL AND DECLARATION OF CONFORMITY. The manuals and ATEX CE conformity declarations are available in EN, DE, FR, and IT. Handbücher und CE Kormformitätserklärungen ATEX sind in EN, DE, FR und IT erhältlich. Les manuels et les déclarations CE de conformité ATEX sont disponibles en EN, FR, DE et IT. Manuales y declaraciones CE de conformidad ATEX disponibles en EN, DE, FR y IT. Manuali e dichiarazioni CE di conformità ATEX sono disponibili in EN, DE, FR e IT.